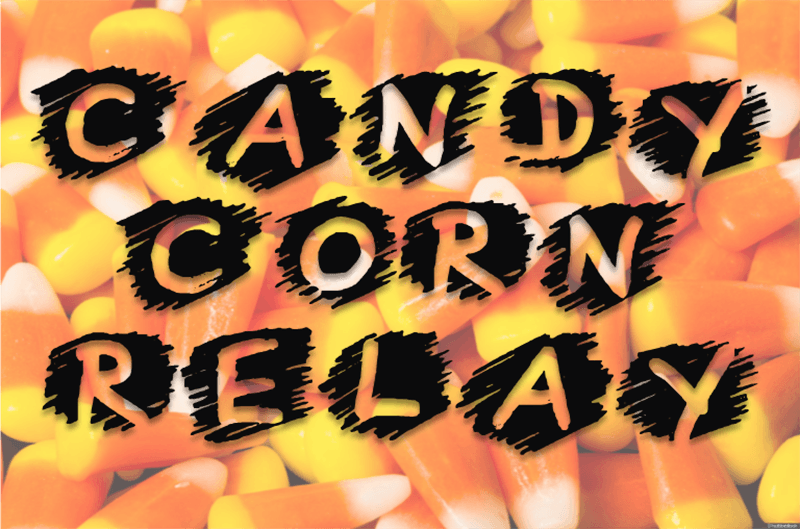 Candy Corn Relay is the perfect game for your next fall or Halloween event. Have a blast at your party with this simple game that gets everyone moving! Before you play Candy Corn Relay, put the buckets full of candy corn at the starting line next to each team. Place the empty container 20-30 feet away from the starting line. Next, give each participant a spoon (metal spoons are easier to play with, but plastic ones will work). Finally, line teams up in a single file line next to each other. The first person will take put the handle of the spoon in their mouth and then scoop out as many candy corn as possible from the bucket next to them. They key is that they cannot use their hands. Once they have their candy corn on the spoon, they must carefully walk to towards the empty container and drop the candy corn in. They will then race back to the starting line and tag the next person up so they can begin. If any spill or bounce out, they do not count. The team with the most in their container after the designated time (3-10 minutes depending on group size) is the winner! In the rare event of a tie, see which team can transfer 10 candy corn from one side to the other the fastest. If Candy Corn is not in season, play with chocolate chips. 1. If you are on carpet, have someone who is designated to pick up the candy corn that falls to the floor to avoid having people step on the candy. 2. Put the bucket full of candy corn at the starting line on a table to help participants have easier access. 3. Have some upbeat music going while they play. 4. Award the winning team a junk load of candy corn!